Martin Powell-Davies - teacher trade unionist and socialist: We can hardly work until 60 - let alone 68! Of the various emails of support received today, I thought I'd start with this one from Max Hyde - because the figure she quotes is worth repeating to any wavering members - if 41% can't work until 60 now, how many of us can possibly work to 68 or 70? As a supply teacher I am proud to be able to join you on the 28th. I also would like to send a message of support to you & your Division activists who have worked tirelessly to make this the strongest possible statement to the Coalition Government that their proposed changes to teachers’ pensions are unnecessary, unfair and unworkable. 41% of those who took retirement in 2010/2011 retired before the age of 60 – largely because of the demands of the job. The proposals will do nothing to recruit & retain teachers – quite the opposite. The proposals will do nothing to secure the future of the teachers’ pension scheme & keep it affordable & sustainable – quite the opposite. Well done to London Teachers for leading the next stage in the Union’s campaign - standing up for Fair Pensions for All and the future of the profession. I will be proud to march with you in solidarity & sisterhood. This is a crucial fight, Max Hyde, Executive Member for Gloucestershire, Herefordshire, Warwickshire & Worcestershire. I am writing to offer you all my support and best wishes for Wednesday’s strike action. If any Lewisham members are still considering whether or not to take action, please remember that there are thousands of members in areas outside London who would willingly join you if our areas were involved. I teach in Rye, East Sussex – we have been twinned with your borough for this action, and our members have always closed our school when called to take strike action. We were ready to strike on Wednesday if called to, and are all desperate to protect our pensions as far as possible. Strike action really does seem to be the only way to make our voice heard. We must continue to fight these unfair and unjustifiable changes to our pensions. Call for the Teachers’ Pension Scheme to be properly audited and valued, in my opinion that is our strongest argument. Please get your colleagues to come out in support, and fight for all of us, we will join you when it’s our turn. On behalf of members of Lewes Eastbourne and Wealden NUT I would like to pass on our support for teachers in Lewisham and across London striking this week to defend pensions. Members across East Sussex have responded to the strikes on 30th June and 30th November in huge numbers and had anticipated striking alongside our colleagues in London on the 28th March. We remain ready to carry on the struggle to turn back a government that is using a financial crisis push don't pay and conditions of teachers and other public sector workers. We hope the success of your strike on Wednesday will be inspiration for all those fighting this government and a message that the battle is far from over. Ruskin UCU sends greetings of solidarity to Brothers and Sisters taking Industrial Action on 28th March. 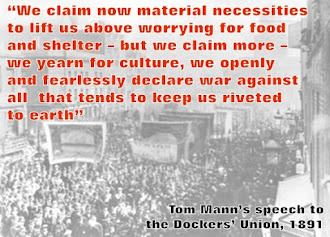 Best of luck in your day of action...the ordinary workers of GB need to awake and rise up to the squalid and cynical politics of Osborne/Clegg and Cameron and their policies of ‘ALL FOR ONE....AND NONE FOR ALL!! INTO members in Newry Branch, INTO Northern Ireland send greetings and solidarity to our colleagues in NUT Londan on their strike on 28th March. We salute your stand against the pensions robbery. Hopefully, our Unions can work together to fight the erosion not only of teachers pensions, pay and conditiions of service, but those of all workers.